Zhang Lei works with his colleagues Jovana and Christoph as a chief designer at Pinwu Design Studio, which he co-founded in Hangzhou, China. As a designer, he focuses on deconstructing Chinese traditional crafts and then fusing them with contemporary design, rather than merely combining the traditional and modern. 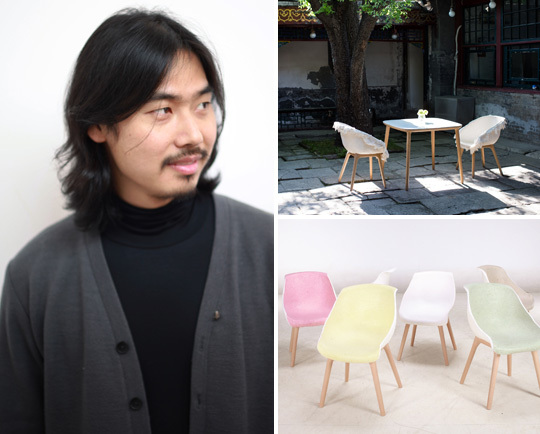 Pinwu’s Piao Paper Chair won the 2011 Best of the Best Red Dot Award, and its Tie Chair was nominated by the London Design Museum for the 2013 Design of the Year Award. Pinwu also curated the From Yuhang and Rong-Handmade in Hangzhou exhibitions.